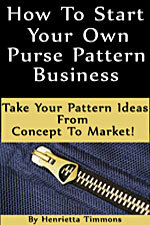 Everyday Totes Pattern Booklet Everyday Totes Pattern Booklet is published by Interweave Press, Craft Tree series, and compiled by Barbara Delaney. 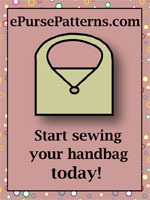 [12SW21] - $14.99 : PursePatterns.com, Sew your own unique purse or bag! 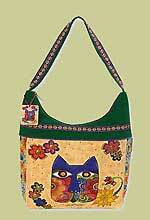 Everyday Totes Pattern Booklet is published by Interweave Press, Craft Tree series, and compiled by Barbara Delaney. 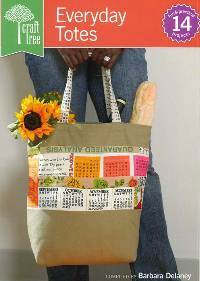 This booklet includes 14 fun and practical projects including a mine messenger bag, painted grocery tote, ruffle tote, convertible tote, artful eco bags and more. Includes phots, instructions, material lists and diagrams for each project. 48 pages in a soft cover.